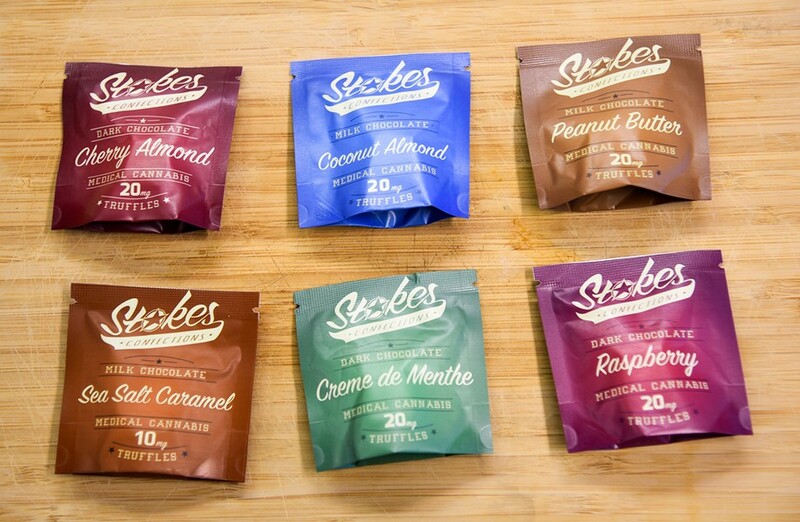 These 20 mg, ganache-filled truffles made by Stokes Confections seem like the non-intimidating type of cannabis-infused dessert that people who are still easing into edibles would be comfortable trying out. They come in small, bite-sized portions that can be eaten in one chomp or nibbled on at your convenience. And they aren’t too thick with cannabis flavor to disturb the average chocolate lover’s palate. They come in milk or dark chocolate with six different flavors, including caramel, peanut butter, and almond variants for milk chocolate; and raspberry, cherry, and creme de menthe for dark. I tried the milk chocolate caramel and dark chocolate creme de menthe. Both were exceptionally sweet, but still good. The best way to describe the buzz was smooth, non-aggressive, and straightforward. I journeyed through all of the standard phases of highness, and while I wasn’t delighted or disappointed by the experience, I just enjoyed comfortably coasting for a little while. I felt like I could still be productive and if I needed to go out, I felt confident I wouldn’t be weird in public. People who are well-versed in edibles will most likely enjoy these, too, but if they’re like me, they will probably be a little curious about details that more and more brands are starting to offer, such as the strain or at least whether the edible is indica, sativa, or hybrid. These specifics are nice touches that might make a difference to certain types of consumers but it definitely isn’t a deal-breaker.